hi ther all!when i play the game and i see player have the sniper and run like He..and when i see him first and try to kill him he never aim or scop me he just fire like he have other gun.same at corners when i just come from coners i be dead from the sniper.and i see alot other dont scop when we are close like he have aimassis or something.or did i miss something.i try self to be sniper and do it but i cant? ?they have like wallhacks LOL becosue i fell at they know when they can fire and same at far away when i see them first then after 1 sek im dead.is this the server or the ping? ?or something other stuff?? I feel like someone with as many hours as you have shouldn't be asking these questions. First of all, how do you know they don't scope? I personally have very few M24 kills that I wasn't scoped in for regardless of distance. It's just not worth it to attempt to hip fire unless I'm really caught off guard. Getting shot as you come around a corner could be any number of things. Snipers will watch a common angle. Snipers may be looking your way because your position has been called out. Snipers may hear you themselves. If it seems like you're being shot instantly or before you have the opportunity to even react, it's possible that could be ping. I responded to what I believed you to be asking. hi thanks for answer.1 .i see when im close to sniper. 2.the angle is not right becouse i have test in both side. 3.i have spect sniper and see at they fire at the wall at the coners and they hit enemy. 4. when they are in Lobby and have the sniper they hit the black box and can kill enemy but the enemy never see him? 5. can some of dev play whit me in game at password protect server so i can show them better. and thanks Hey.I.Have.A.Gun for the answer Sir. 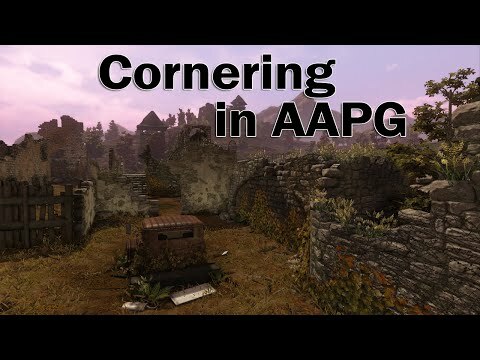 3# Spectator view have always been bugged, though there are corners you can actually fire true the wall so that you take less returning fire from enemies and have a chance to hit them..
4# It's impossible to hit someone from Lobby all the way at Black Box as you say, unless the bullet can fly true choke into west then around the corner to Black Box. Or maybe it went true garden made a loopdiloop and then found itself the door to Black Box. Overall, sniping isn't hard. If you battle some one that is more trained in sniper, he might win.. Same go's for some one with 90+ higher ping then you, will win with the sniper because he already fired before you finally see him on your screen. 2. The shot originates from BETWEEN THE EYES OF THE PLAYER, not the gun. This is an issue with game design related to complexities of multiple perspectives. It's easier to design the game so that the shot comes from where you're looking from. This does have some consequences though - players can shoot around or over things and all you can see is one eye!! 3. Spectator view DOES NOT MATCH WHAT IS ACTUALLY HAPPENING in order to save server computations and resources. Don't think you've found "proof" if you see something in spectate! 4. Not all guns shoot through all objects! Pistols and shotguns don't go through wood! Other weapons do! 5. Just because your speakers are turned down doesn't mean THE OTHER GUY can't hear you through a wall!!! The sound is VERY directional in AAPG (horizontally only) and if a player is looking at a wall, it doesn't mean he's cheating! 6. There is no z-axis (vertical) sound in AAPG therefor a player on the floor above or below you will sound like he is RIGHT BESIDE YOU. 7. Knowing the sound of, and location of various ground and floor materials is an important element of gameplay as you learn your surroundings and get alerted to nearby enemies. 8. If you're not bringing the sights of the weapon up in AAPG, you ARE NOT SHOOTING ACCURATELY due to what's called an Accuracy Cone, used to randomly disperse the shots to mimic the fact that if your sights aren't up YOU'RE NOT AIMING! The crosshair is there just to give you a general idea of where the muzzle is pointed. 10. Bullet drop IS MODELED in AAPG, regardless of Item #9 above. The farther away you are, the higher you need to aim. That's a lot to read man, it's much easier to call everybody a cheater.